Have you ever wanted your own fighter jet? Even better, one with an extra seat to take a friend to Mach 2? It is a beautiful, late model United Aircraft Corporation MiG-29UB (NATO codename “Fulcrum”) two-seat tactical aircraft. 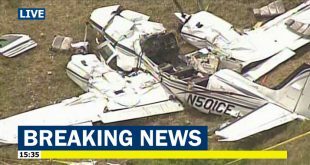 The aircraft listing went up on the Raptor Aviation website recently. The two-seat MiG-29UB was built in 1986 at the Kalyazinsky Machine Building Plant north of Moscow. The airframe has a total of only 818 flight hours since manufacture and only 118 hours since a complete airframe overhaul at the Lviv State Aircraft Repair Plant in Ukraine. The paint is very fresh looking, a beautiful three-color, blue and two-tone gray air superiority color scheme with Russian Aerospace Forces national markings and “bort” number “37”. It carries the U.S. civilian experimental aircraft registry of N129XX. Realistically, a low-time, recently depot-overhauled twin-engine, two-seat, highly capable 4th generation combat aircraft for only $4.65 million is a very good value. 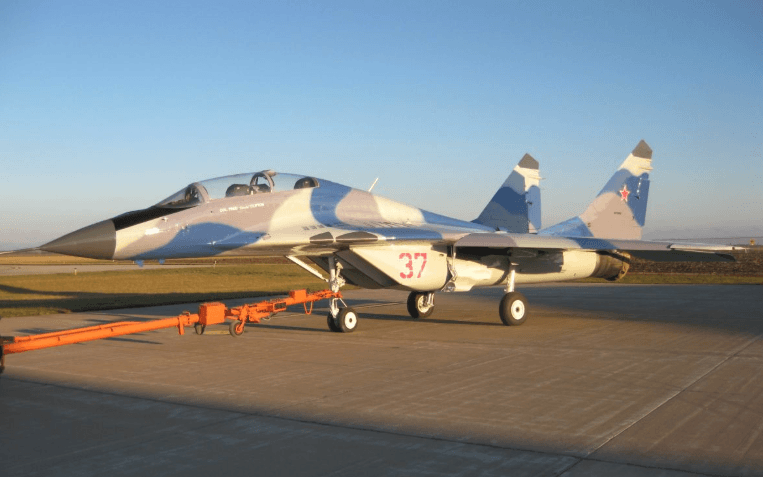 New price for a MiG-29, depending on version, ranges from approximately $11-20 million USD. If you decide to do some comparison shopping, consider a Cessna Citation XLS business jet with 2,000+ hours sells for $7.1 million. The price of a bargain-basement (and less capable) Chengdu FC-1 Fierce Dragon single-engine fighter is over four times higher than the marked-down MiG at $20 million USD. These prices make the $4.65 million for the ’86 MiG-29UB seem like a bargain. The MiG’s two Klimov RD-33 afterburning turbofan engines means you can take a special someone to Mach 2.4 or as high as 60,000 feet, which should be high enough to see the curvature of the earth. The MiG-29 only has a range of 1,100 miles, so cross-country flights will require a few stops to take on additional fuel. This particular aircraft is a two-seater trainer fighter, with room for student and instructor pilots. Out of military service that means there’s room for you and a date.